5 Tips For Beating The Heat! It is (finally) heating up out there, luckily Vishal Patel, the Cheif Nutritionist at Nuun, is here with 5 tips to beat the heat! i don't believe in "hacks." put in the hard work and stay dedicated, and results are achievable. but over the years, i've learned a few "tricks" to help athletes stay cool during a hot training session. follow these tips to beat the heat this summer. 1. drink a nuun slushy 30 minutes before a workout. there’s been a lot of great research coming out of the u.s olympic training center last year (before the summer olympics) on how athletes can combat high heat and humidity. one strategy found to be beneficial is to cool down the athlete prior to competition by drinking a sport drink "slushy." this essentially primes the system and allows more steady regulation of your core temperature. 2. stay cool during the run or ride. to do this, pour cold water or ice on your wrists, arm pits, and core. these areas of the human body are key to helping your body cool down in high heat or humidity. and while it may be tempting to pour ice cold water on your head, try to avoid doing so. the extreme cold can shock the system, leading your body to work harder to get back to your baseline core temperature. the foods you eat can also be a source of water. many fruits and vegetables, such as celery, cucumber, and tomatoes, not only provide your body with water, but also a steady balance of vitamins and minerals. load up on fruit the days before long runs/rides! drinking too much, too fast after a long run or ride may do more harm than good. you want to give your body a few minutes after exercise to naturally repair itself. slowly rehydrating throughout the remainder of the day will ensure you electrolyte stores are replenished, and that your body has what it needs to recovery properly. 5. drink early and often. one of the most important factors in hydration during exercise is to be consistent with it. drink throughout the day, and drink early and often (think small sips) during the workout to give your muscles oxygen (learn more here). this will also reduce your risk of gi distress by lowering the possibility of overloading your stomach. The original post of this article can be found on Nuun.com. 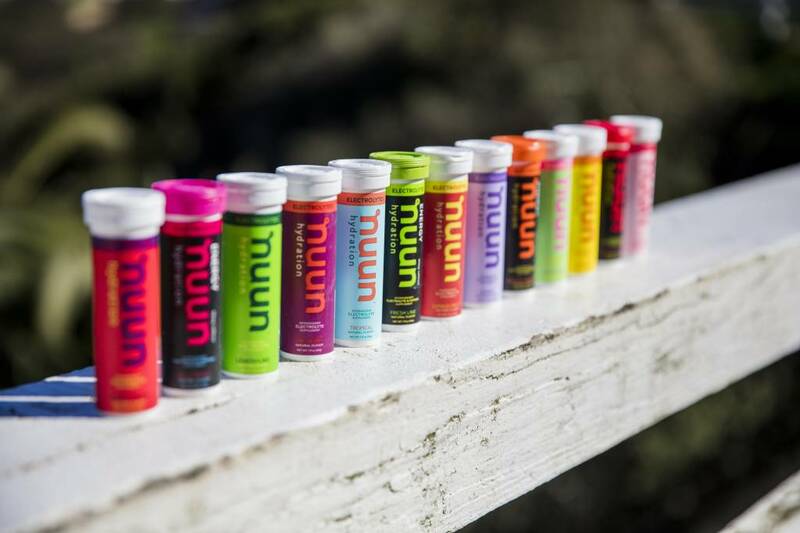 Make sure you swing by the store to pick up all your great Nuun products.